Credits go to: amberalexander, ChYMieRa, elgarboart, EmeraldTownRaven, FableAndFury, FirebirdJewellery, Gilliauna, gothicrow, IsabellasArt, kryptickreations1031, MamasHouse, Sidereal, sintwister, thedustyraven, thegoodewife, theothermagdalene and TheVintageParlor. So adorable you can't resist. It's the problem I have when I go to the animal shelter, and it's one I clearly have when I stop by today's feature shop as well! Let's be honest. People love their pets. Pugs and bulldogs, put bulls and dachshunds, chihuahuas, bull terriers and more. The list is endless on different breeds of dogs people love to love. 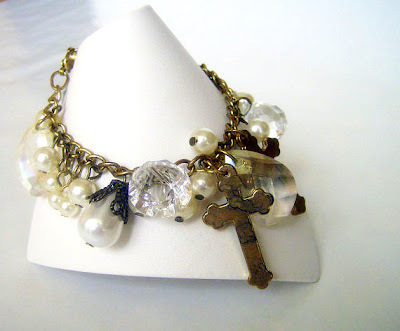 And in madamepOmm on Artfire, they have them all! Not just in dogs either. They also offer items depicting cats, reptiles, insects and a variety of wildlife animals. There are sports themes as well, aviation and sailing themes and the list goes on. And they're all absolutely adorable. 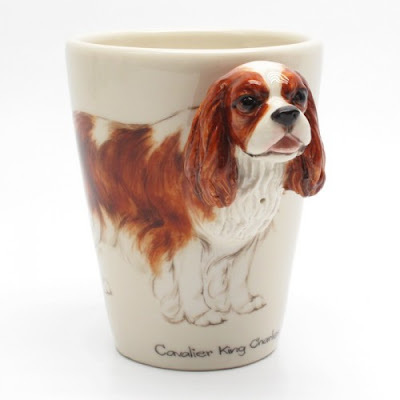 These themes, breeds and other beloved depictions come in a variety of different products in this shop from 3D mugs like the one pictured in this post to items such as salt and pepper shakers, piggy banks, wedding cake toppers, key chains, figurines and more. The work is done in high fired stoneware and porcelain with each piece handcrafted by the artist from the design of each piece to the drawing, painting and glazing of each item. If you love your pets or you know a pet enthusiast that's on your gift list, this is a shop you're going to love browsing through and not going to want to miss! So stop by and take a peek! 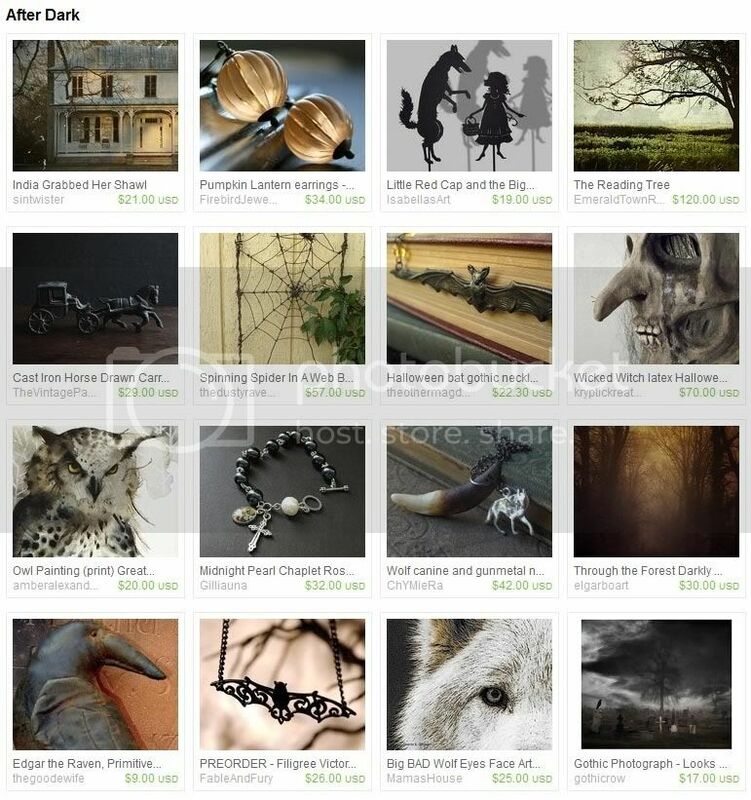 YOU CAN CLICK ON THE PICTURE ABOVE TO VISIT MADAMEPOMM'S SHOP ON ARTFIRE AND TAKE A LOOK AROUND OR, IF YOU PREFER, YOU CAN CLICK RIGHT HERE! If you like what you see in madamepOmm's shop, you may also enjoy visiting the madamepOmm's blog where you can get a peek at some of the custom orders that have been done! Knits for fall and winter! We are in the middle of the second week of September. Can you believe it?! And although in my neck of the woods the temperatures are still soaring, Autumn is only 10 days away. That means it's time to stock up on warmer clothes and snuggly layers to wear through the winter months, and that's what today's mosaic is all about! Slouch hats and ear flaps, cute appliques and fingerless gloves. There's a variety of styles in this shop you won't want to miss! One of the easiest ways to keep warm when the weather gets cold is to slip on a hat to trap the warmth that escapes from the top of the head in and in this shop you'll find a variety of stylish hats to do just that. Tucked in among these gorgeous hats you'll find fingerless gloves, cute felt appliques and more. Practicality and hilarity combine in this shop that I've personally shopped in and recommend to everyone! With excellent customer service and quality combined with a sense of humor, the knotworkshop sells mug covers, bottle covers, iPod cozies (I bought one for padding against drops and bumps!) and more with a flair for color and quirky fun. Here's a shop filled with handmade warmth from scarves and mittens to baby booties, affordable handmade sweaters, candle cozies, hats and more. Each item is handcrafted in a smoke-free, cat friendly home and are made in earthy colors and seasonal color combinations you'll be sure to love. Embroidered hoop art abounds as well and many of the knitted pieces have embroidered accents. Last but not least! 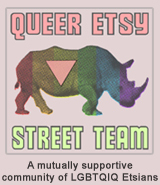 There are lots of wonderful people out there that like to create their own cozy items and here's an artisan that can help. Melmaria on Ravelry has a variety of crochet patters for those creative people looking to design something new from jewelry to scarves, gloves and more. All patterns come in pdf files and you can pick them up from Ravelry or Melmaria's blog. I hope you enjoyed today's collection of shops as much as I enjoyed finding them! Cooler weather is coming and it's time to prepare for the winter to come. Handmade crafts is a terrific way to support the handmade community and get yourself or someone you care about something snuggly to stay warm in.